Virgil van Dijk and Joe Gomez produced another imperious performance as a centre-back partnership in Saturday’s draw against Chelsea. The duo continued their outstanding start to the season with a commanding display in the face of a slippery Eden Hazard-led Chelsea attack. Liverpool’s blossoming pairing were typically dominant in their aerial duels, and often thwarted the hosts’ intricate link-up play in and around the box. Gomez was particularly impressive when it came to the latter, calmly cutting out attacks deep in his own half before having the composure to lift his head up and find a midfield teammate. Both flaunted the assertiveness to step out with the ball and push their teammates up when possible, as well as reliably spreading the play in view of stretching a well-drilled Chelsea system. Even in a moment of rare panic, they were at hand to demonstrate incredible pace to catch up with Willian in what had looked a certain one-on-one opportunity with his Brazilian teammate Alisson. 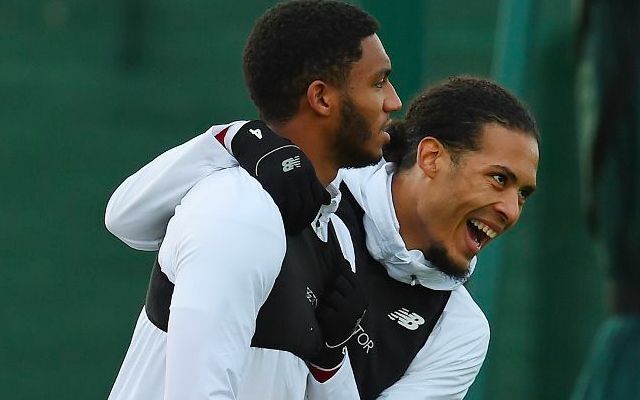 That was great defending by Gomez and Van Dijk. For Van Dijk to slot back into the starting lineup and play with such grit having barely trained all week is the sign of a leader in Liverpool’s ranks. Another unnerved display with the ball at their feet was glossed by a steely aggression to give their teammates a secure foundation on which to build in search of an equaliser. Van Dijk isn’t just building a case as Liverpool’s most important player, but also a reputation as the most gifted centre-back this club has had in the modern era.